On 1 June 2014 format shifting becomes legal in the UK. People will be allowed to make a reasonable number of copies of works which they own, but only for private, non-commercial reasons1. No longer will consumers who back up their ebooks or copy songs from their CD collection to an MP3 player be infringing copyright. The rights are not limited to works in digital form, although the new exception excludes computer programs, which have a separate regime authorising back-ups. Admittedly, rejoicing at the enactment of The Copyright and Rights in Performances (Personal Copies for Private Use) Regulations 20141 may be somewhat muted. Most people have been format-shifting for years, and few except intellectual property lawyers were even aware it infringed copyright in the first place. The rights granted by the new regulation are limited. They only apply to works which have been "lawfully acquired...on a permanent basis" by the person exercising the right. This excludes, for example, relying on the right so as to make a permanent copy of material downloaded from BBC iPlayer, streamed from the internet or borrowed from the library. There are also restrictions on transfer of copies made under this exception. Lending them to friends is lawful only if done "on a private and temporary basis". Terms in licences which purport to exclude or limit these rights are void. Frustratingly, the regulation does not go so far as to outlaw DRM or other technical measures which rights-holders use to lock works onto specific platforms or regions. However, it provides a mechanism for complaining to the Secretary of State if a "restrictive measure" imposed by the rights holder "unreasonably prevents or restricts the making of personal copies". any technology, device or component designed, in the normal course of its operation, to protect the rights of copyright owners, which has the effect of preventing a copyright work from being copied (in whole or in part) or restricting the number of copies which may be made. This complaints procedure may result in a direction to remove or change the restrictive measure. However, the process is likely to be protracted. One of the factors the Secretary of State may consider in deciding whether action needs to be taken against a rights owner who imposes restrictive measures is whether it is possible to obtain the work in question at a reasonable cost without such measures attached. Accordingly, shopping around to find non-DRMed copies of a particular work if at all possible continues to make good sense. If non-DRMed copies exist, it avoids the need to rely on complaint to the Secretary of State in the first place; if they do not, it increases the chance of such a complaint being successful. Although it is unlikely many individual consumers will know of or invoke the complaints procedure, bodies such as the Electronic Freedom Foundation may well find it a valuable additional tool to invoke against over-aggressive DRM. Furthermore, the threat of complaint to the Secretary of State may well act as a deterrent to rights holders planning restrictive measures in future. 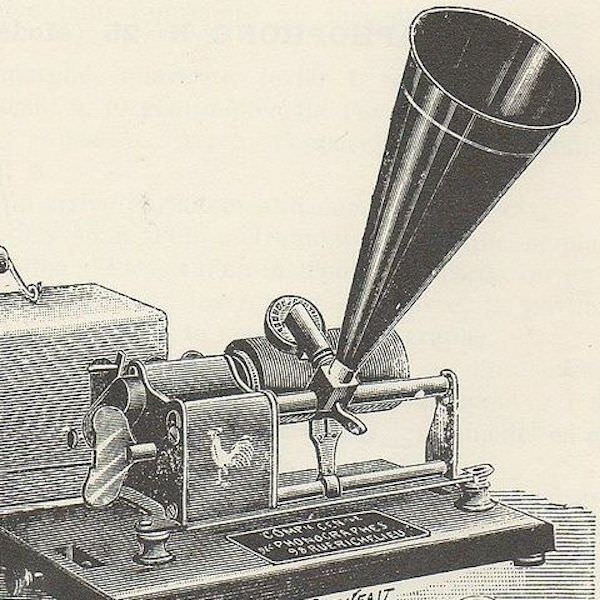 The main image used for this article is: 'Pathe phonograph 1898' and was used under the terms detailed at the above link on the date this article was first published.